Senior swimmer Ashley Dow competed in the 100 Butterfly during the Magnus Invitational on Nov. 22, 2014. Dow finished with a time of 59.15, which is the second fastest time for the team this season. Photo courtesy of YSU Sports Information. Starting on Feb. 25, the top aquatic talents in the Horizon League will converge on the Brown Deer, WI Walter Schroder Aquatic Center for the 2015 Horizon League Swimming and Diving Championship, hosted by the University of Wisconsin-Milwaukee Panthers. The Penguins had a strong showing at the event in last season’s championship, highlighted by Bec Stafford placing third in the one-meter dive. Jana Janson later broke the program record in the 50-yard freestyle for quickest time (23.72 seconds). Youngstown State University looks to have a repeat performance this year. There are several teams that look to test Youngstown State University heading in the championship. Multiple teams look like they could come out ahead of the Penguins. Senior backstroke swimmer Ashley Dow said she believes that either the Milwaukee Panthers or Oakland University Grizzlies will provide the toughest test for the Penguins come time for the championship. “They’re both really strong teams, and they have really strong swimmers,” Dow said. Dow predicted that the University of Illinois-Chicago Flames will give YSU the most fits when the championship arrives. “We were really close to UIC and Oakland’s got some good girls, too,” she said. Dow couldn’t zero in on one person as the team’s best swimmer. The team is composed of young talent that had to compete early. 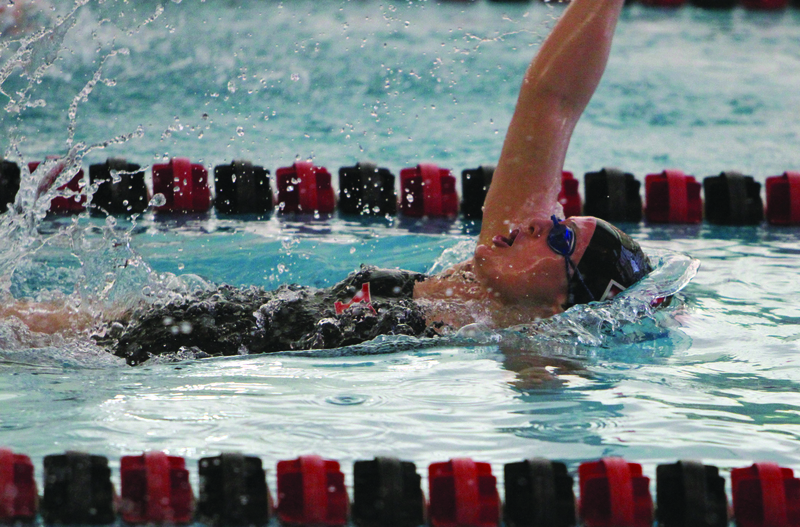 Neither Dow nor freshman freestyler Viktoria Orosz think YSU can take the title at the end of the month. Orosz said she thinks her toughest test will come from a swimmer from UIC, citing their similar times on the 1,000-meter freestyle. Freshman diver McKenzie Stelter suffered a concussion earlier in the season. Members of the team said they believe Stelter is one of the best divers on the team. Unfortunately her diving hasn’t been consistent since returning. Stelter has been a workhorse in her preparation for the championships. “I’ve put in a lot of hard work and extra training, so I think it’s all going to pay off for conference,” Stelter said. Orosz said that the team’s been looking forward to the conference championships since the year began. 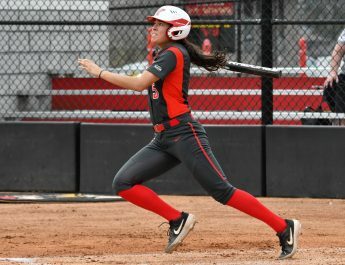 Unlike her teammates, Stelter was more optimistic when asked about the team’s championship chances. 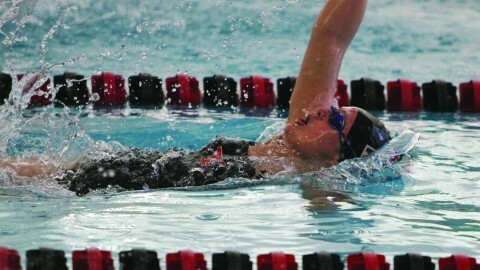 Freshman swimmer Madison Aranda echoed Stetler’s optimism heading into the conference championship.